Christmas Kiss – My Christmas Kiss is based on the old fashioned favourite Bucks Fizz with a little bit of a twist. Simply mix around 100ml of smooth, fresh orange juice with around 400ml of Soda Water and add some chopped fresh Ginger (two small slices, 1cm x 2cm) and Clementine slices for a festive punch. Garnish with mint. Make it a cocktail by … adding in a shot of bourbon, it works really well with the Ginger and creates a warming, soothing drink. Moscow Mule – Ah a classic that is just as delicious with or without the alcohol! For my perfect mule I chop and juice a lime, add around 30ml of soda water and top with ginger ale and crush in a little ice. 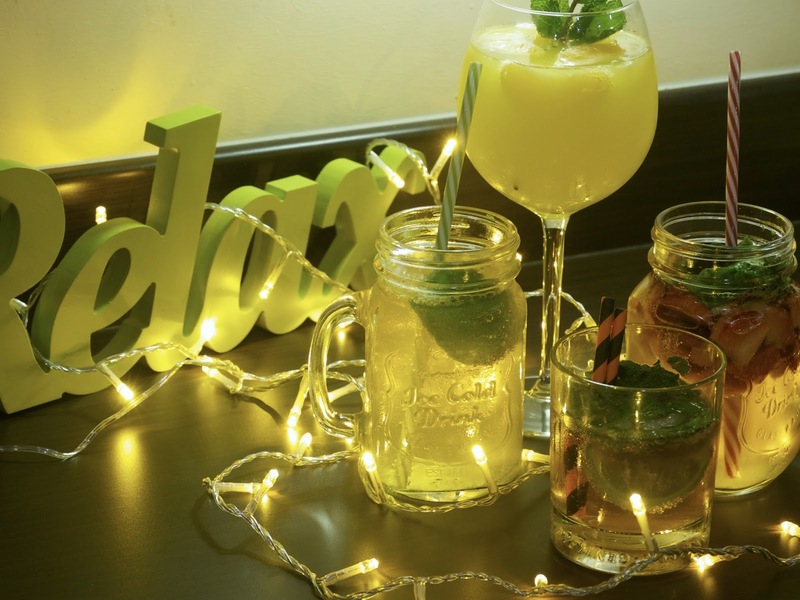 The Moscow Mule is a great year round drink, whilst the lime makes it a fruity, Summertime saviour, the ginger makes it a great Winter warmer too. Make it a cocktail by … adding a traditional shot of Russia’s finest, Vodka. Strawberry Soother – There’s more to Strawberries than just Wimbledon and cream, they add a great fruity flavour to your mocktails too! Muddle together some Strawberries & Basil leaves in a dash of ginger ale , add a little crushed ice and top off with more ginger ale for a fantastic fruity punch with a fiery edge. Make it a cocktail by … adding a shot of rum into the equation, go for a golden rum to maintain the fiery flavour. Virgin Winter Berry Mojito – Muddle together some mint, lime & brown sugar in a little soda water to release the flavours and add a little berry cordial to taste, before topping up with Soda Water. A fruity twist on a Summer classic. Make it a cocktail by … adding in a shot of rum to the muddle instead of soda, avoid white rum’s to make the most of the flavour. Of course you can keep it simple by just sticking to the old Christmas favourites, but sometimes it’s nice to mix it up a little bit and add a little fresh fruit & some herbs into the mix.